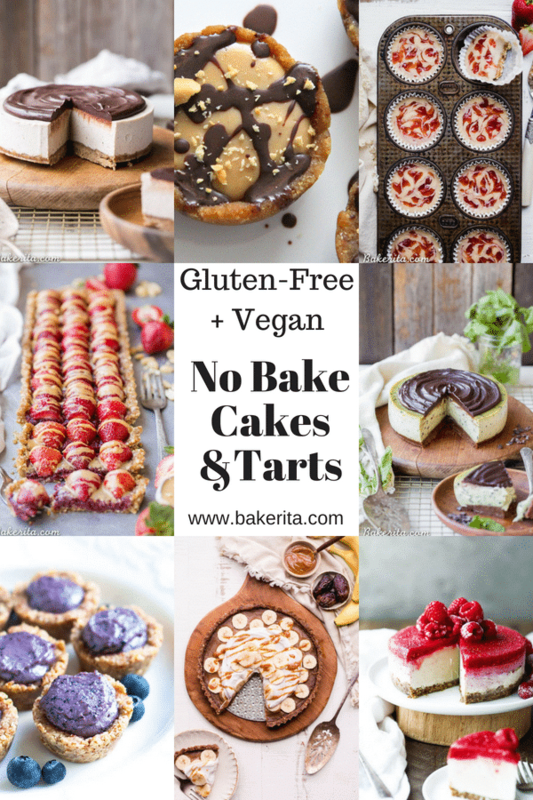 This ROUNDUP of 75+ Gluten Free & Vegan No-Bake Desserts has cookies, cheesecakes, tarts, and sweet snacks to help you beat the heat without turning on the oven. 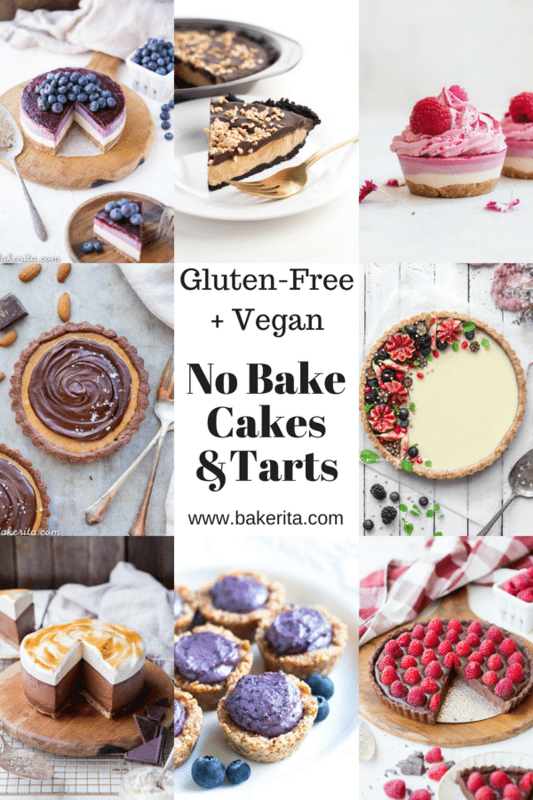 You’re sure to find a recipe (or five!) that will make you hungry. 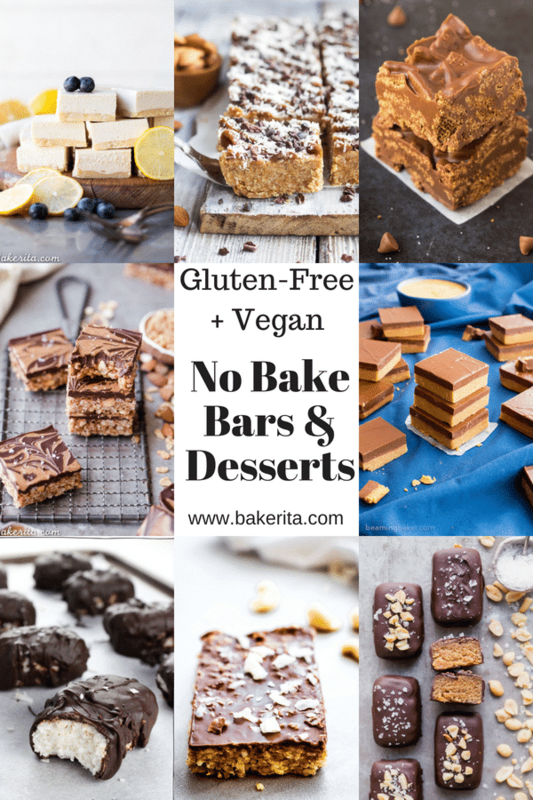 That’s where these vegan no-bake desserts come in! 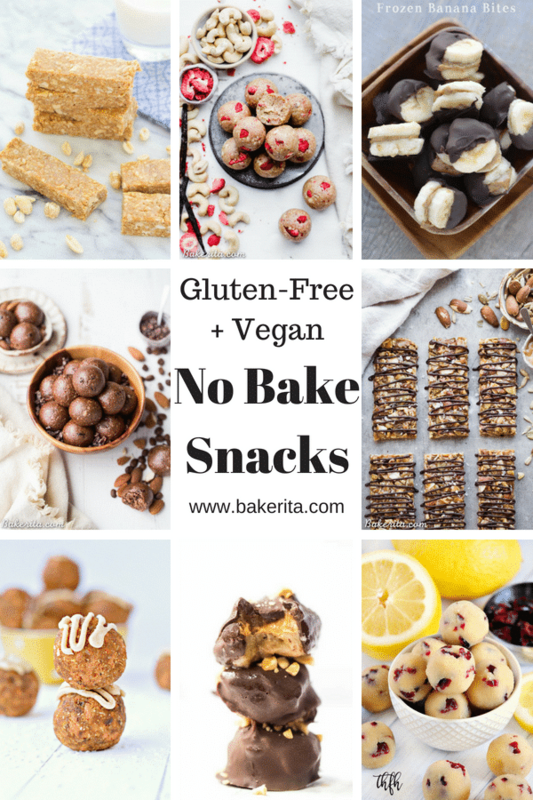 We can have our treats, no baking necessary. 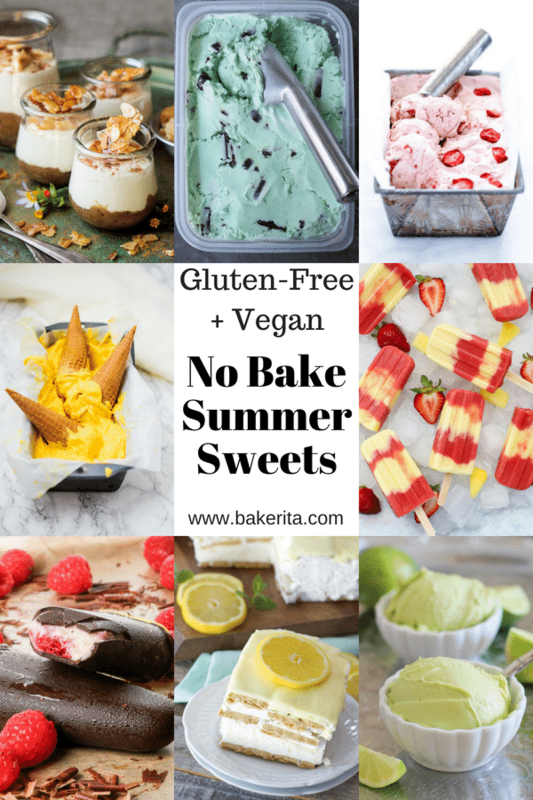 Straight from the fridge or freezer, these are sure to help cool ya off and make the heat a little bit more bearable. 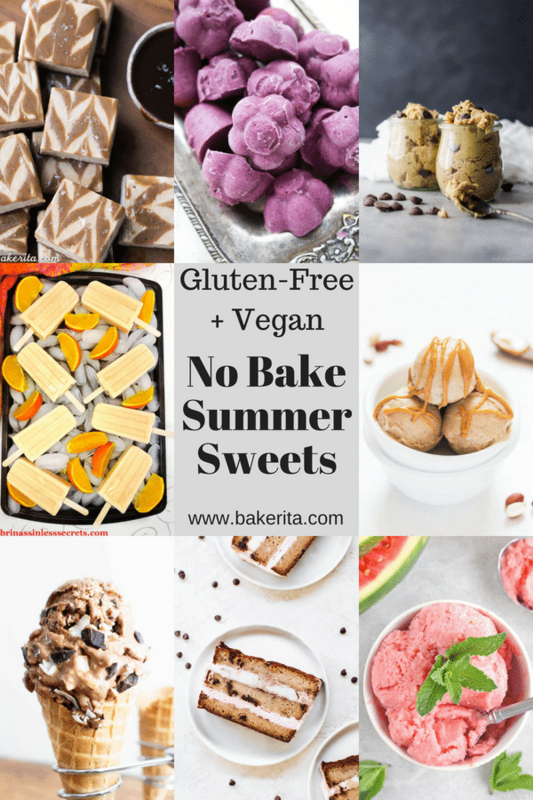 Bonus: these are ALL gluten-free and vegan, too. 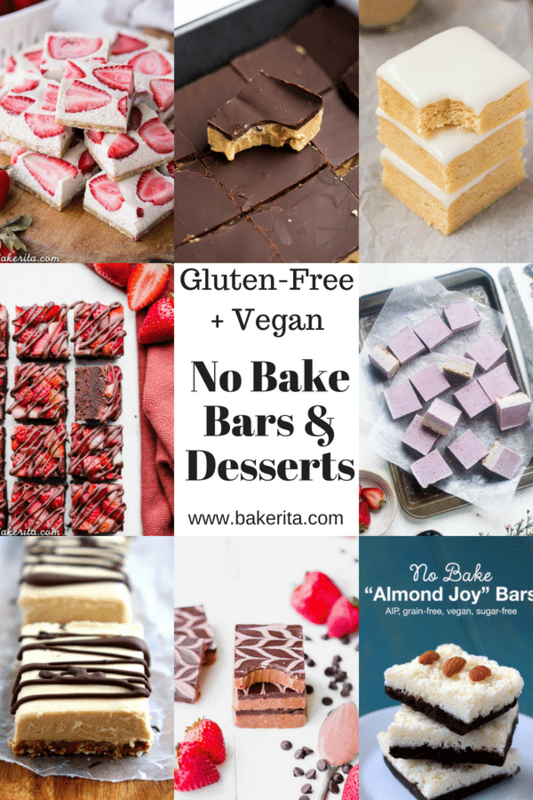 We’ve got energy bites and bars, frozen treats, bars, tarts, cheesecakes, cookies, and snacks in this list, with lots of recipes from me and tons from some of my favorite bloggers. 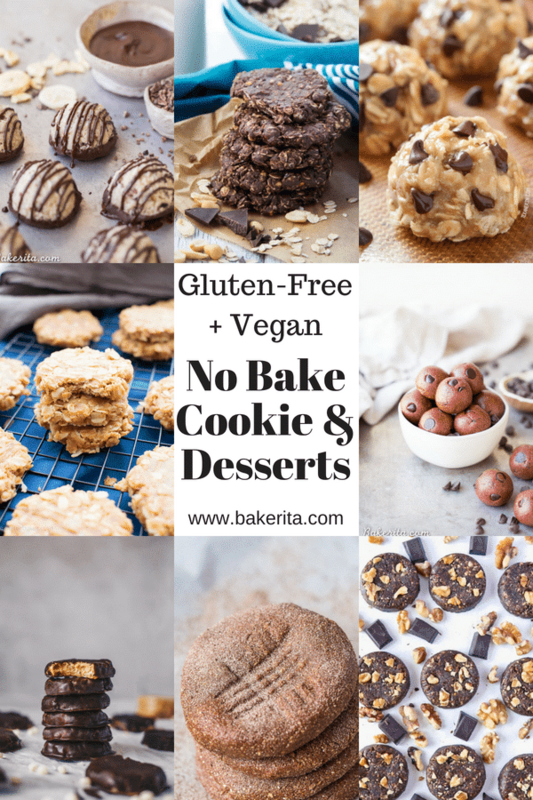 You’re sure to find lots of no-bake healthy baking inspo in the list below..and even if it’s not hot out, I hope you can still appreciate a good vegan no-bake dessert, because less fuss is always a good thing – right?! Enjoy!! 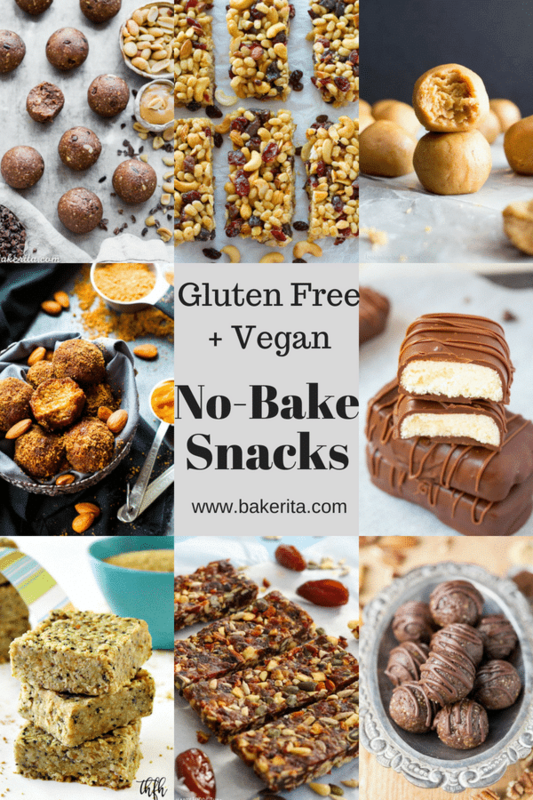 Time for all the no bake snacks! Aw thanks so much Brittany!!! 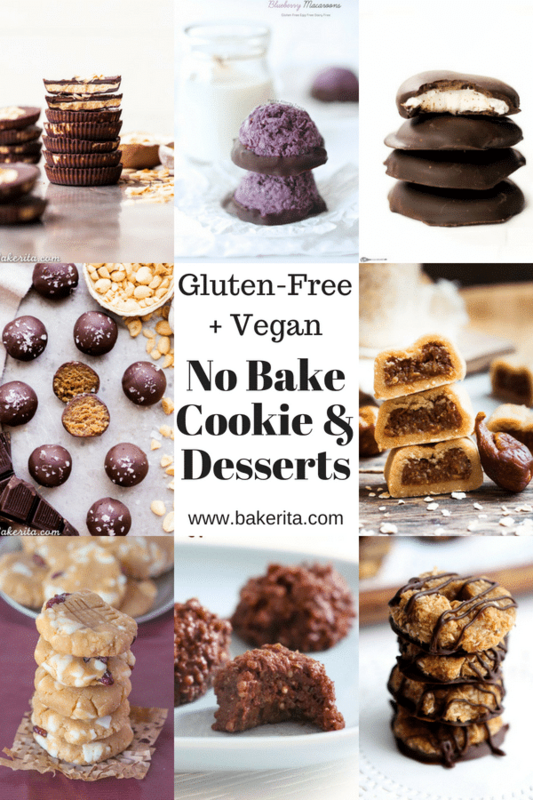 So glad you’re finding useful :) so much deliciousness, right? !